We have special offers available on tickets for The Lieutenant Of Inishmore. 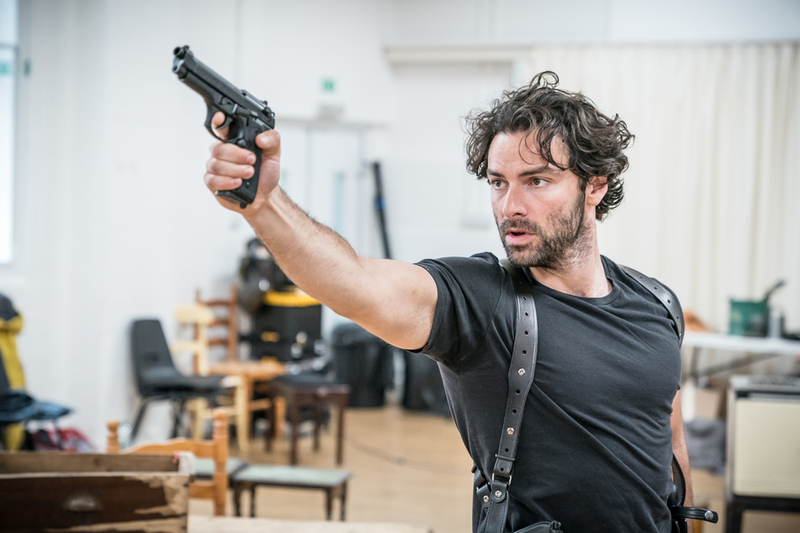 Poldark star Aidan Turner makes his West End stage debut this June, starring as terrorist Mad Padraic in Martin McDonagh's The Lieutenant of Inishmore. Michael Grandage directs the rare revival of the comical satire, which provides an acute observation of violence in contemporary culture. Podriac is a terrorist considered too violent to be a member of the IRA and he's in for a nasty surprise when he returns from a stint of torture and chip-chop bombing in Northern Ireland. Someone's only gone and knocked his cat over on a quiet road on the island of Inishmore, but was it an accident? What are the best dining options near The Lieutenant Of Inishmore London? The Lieutenant Of Inishmore gyms, sporting activities, health & beauty and fitness. The best pubs near London The Lieutenant Of Inishmore. The Lieutenant Of Inishmore clubs, bars, cabaret nights, casinos and interesting nightlife. Where to have your meeting, conference, exhibition, private dining or training course near The Lieutenant Of Inishmore. From cheap budget accommodation to luxury 5 star hotels see our special offers for Noel Coward Theatre hotels, including Radisson Blu Edwardian Hampshire Hotel from 89% off.